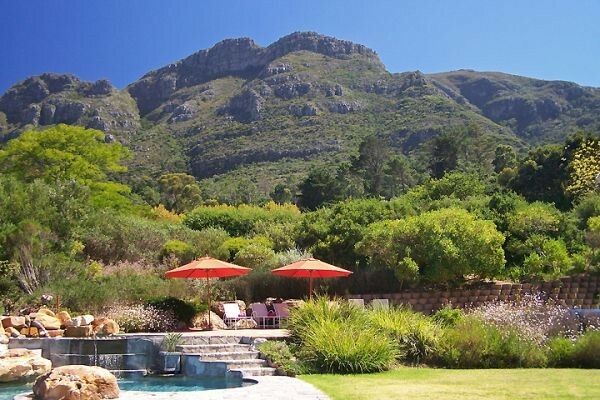 From its superb mountain scenery, luxury guest suites to its cocktail lounge, panoramic dining room, heated swimming pool set among the beautiful landscaped gardens Tarragona Lodge redefines the definition of service excellence. 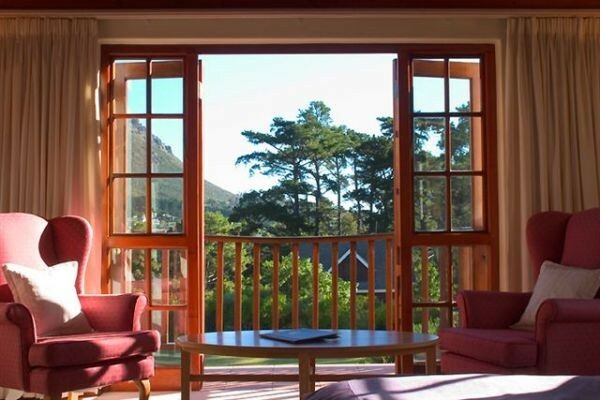 Tarragona Lodge, a 4 Star luxury accommodation establishment and wedding venue, situated on the southern slopes of Table Mountain in scenic Hout Bay, awaits the pleasure of your company. 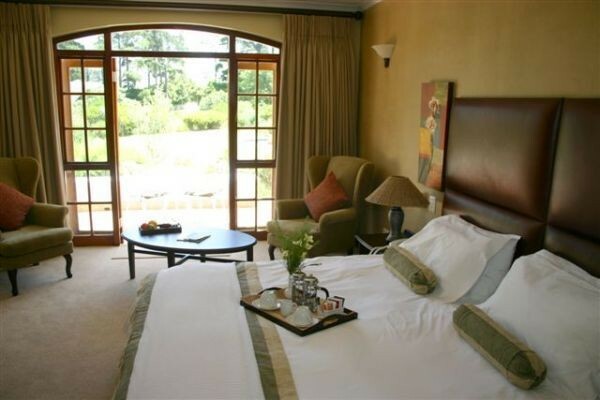 Although only 20 minutes from the Cape Town City Centre and a short 25 kilometre trip from Cape Town International Airport, Tarragona Lodge seems a world away from the hustle and bustle of city life. 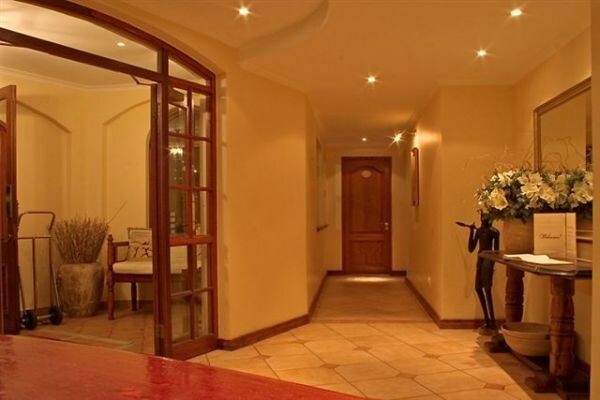 The ten spacious and comfortably, tastefully furnished suites that make up the private accommodation of Tarragona Lodge, all have either a balcony overlooking, or patio opening onto, the lush garden, pool and entertainment area. Each spacious unit is equipped with telephones, tea and coffee making facilities, hair dryers, satellite TV reception and built in safes. Mulligans, the cocktail bar at Tarragona Lodge, provides an excellent venue in which to relax, unwind and enjoy sundowners after a hectic day of "relaxation" in and around the Fairest Cape. 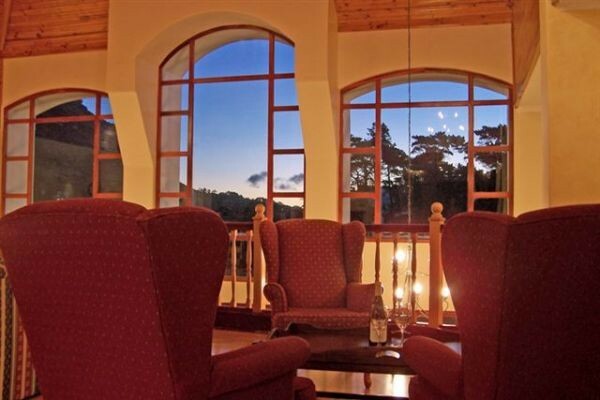 During the winter months the Tarragona Lodge open hearth fires add to the allure of the accommodations. 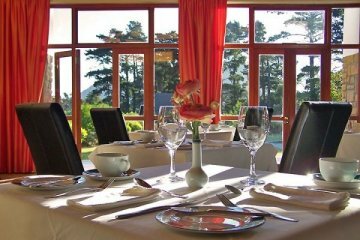 To provide our visitors the best possible start to their day, breakfast at Tarragona Lodge is served in the double volume dining room with its wonderful view of the Hout Bay valley. After breakfast guests can spend the day, if they so wish, just relaxing in and around the heated pool and on the rolling lawns in the shade of the mature trees in the garden. 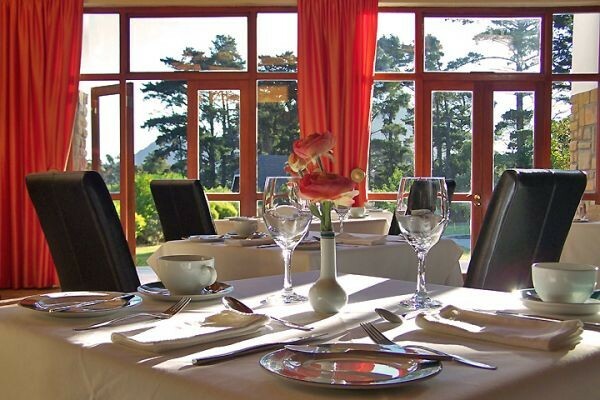 Tarragona Lodge does offer lunch or dinner by arrangement, and in addition Hout Bay and the environs are able to offer visitors a large selection of excellent eateries and restaurants to choose from, and our helpful staff will gladly recommend some choices.